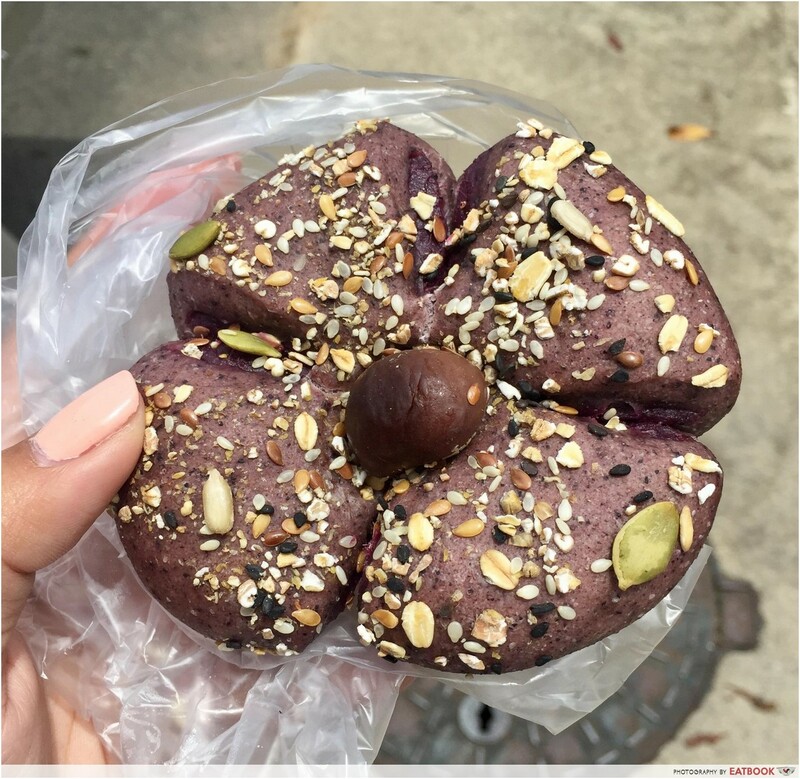 Anyone who has been to Hong Kong earlier this year would have noticed the city’s obsession over purple sweet potato. 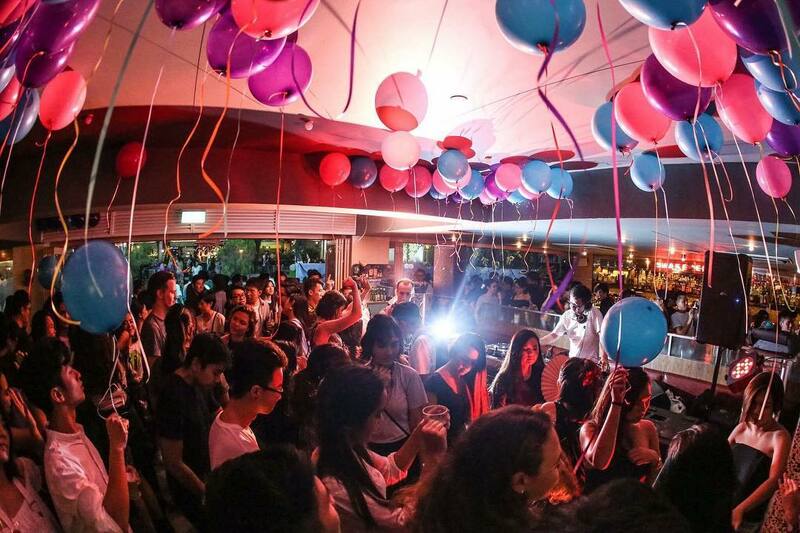 From purple sweet potato croissants to lava purple sweet potato tarts, these beautifully-hued desserts have taken Hong Kongers’ Instagram feeds by storm. And it seems like Singapore is starting to catch on, with sweet potato dishes, both purple and orange, popping up everywhere. 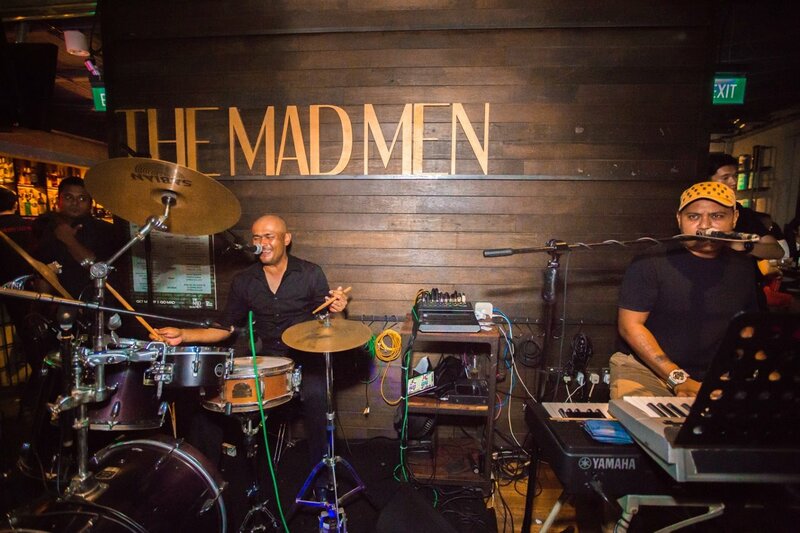 For those itching to jump on the bandwagon, here are 10 places you can visit to get your sweet potato fix. 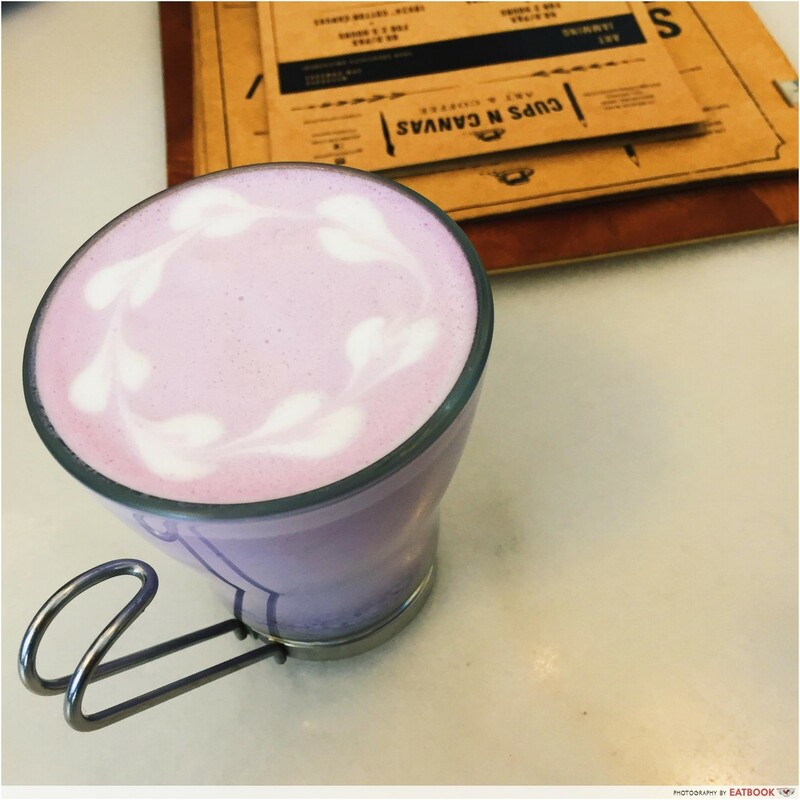 Cups N Canvas’ Sweet Potato Latte ($4.80) is as beautiful as it is yummy. The cafe and art studio has birthed a milk latte that is incredibly gao yet smooth, and they’ve placed sweet potato bits at the very bottom of the cup. As an avid cafe latte lover myself, the lack of caffeine in this made my brain shout ‘treason’, but that didn’t make me want to stop drinking this milky concoction. While you shouldn’t count on it to wake you up in the morning, get a cuppa to go when you’re in need of a sweet treat. 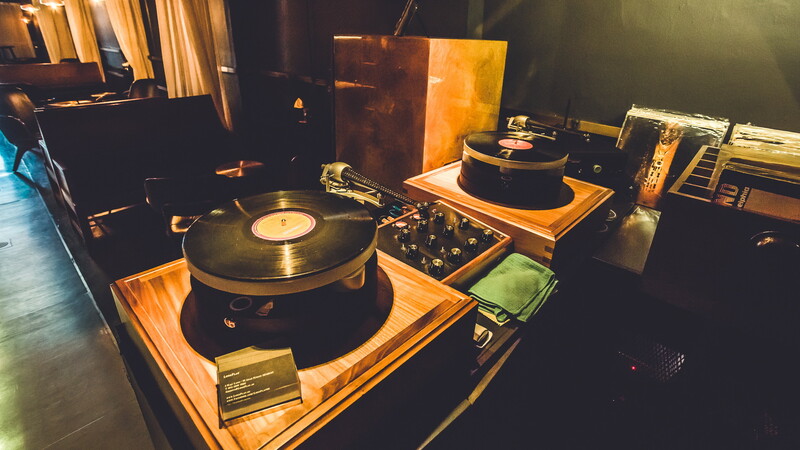 If time permits, linger at their quaint little space at Selegie Road and bask in the artistic vibes they give off. The Workbench Bistro is a safe haven for all those who want to revel in true blue, or in this case purple, cafe fare. 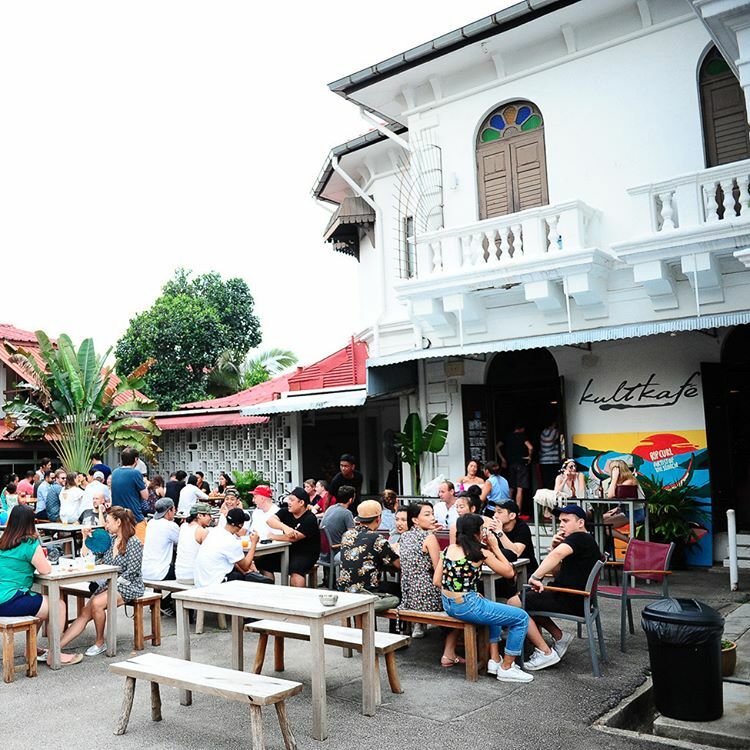 This industrial-looking cafe is known for S’moreffles ($7.50, $10.80 with ice-cream), which is an extravagant combination of s’mores, waffles and ice-cream. 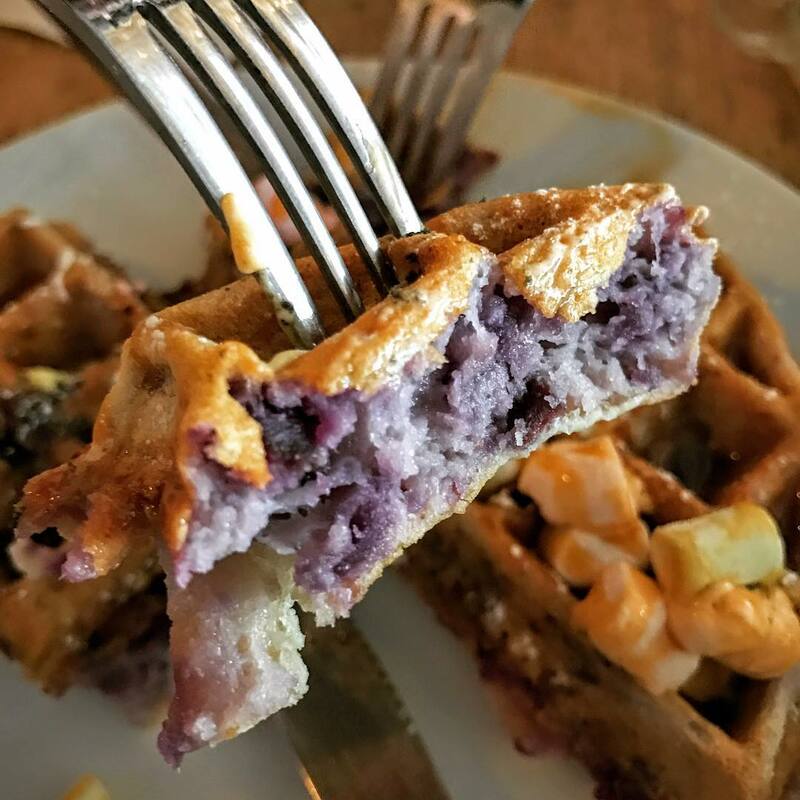 But if you’re a sweet potato fan, go straight for Purple Sweet Potato Waffle ($8.50). It may look like a typical golden brown waffle drenched with gula melaka on the outside, but its rich royal purple insides is fit for all kings and queens. 3. Rise & Grind Coffee Co. Okay Westies, you win this round. 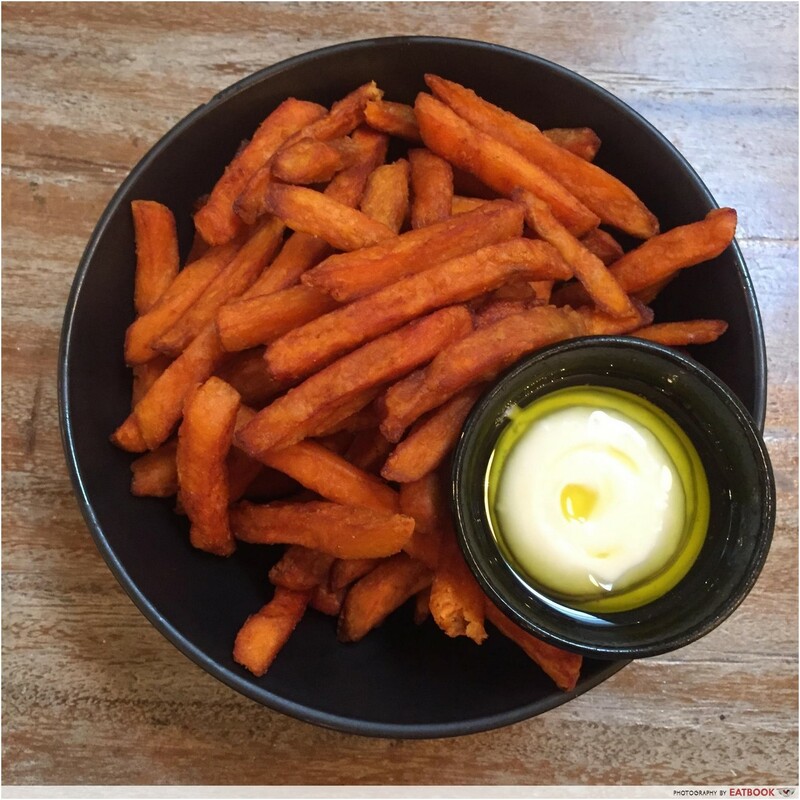 Rise & Grind Coffee Co. is one of the few cafes I’d be willing to travel to the West side for, especially ‘cause of their mouth-watering plate of Sweet Potato Fries with Mentaiko Mayo ($10). 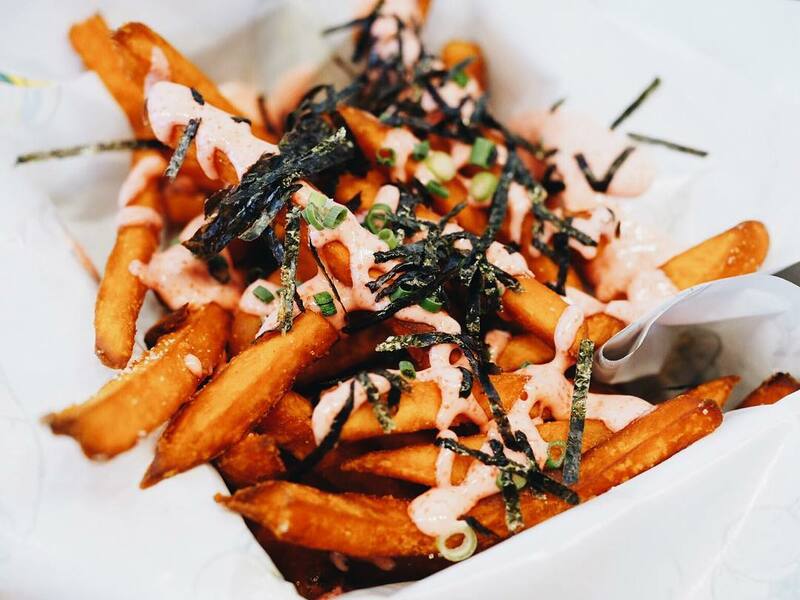 This gorgeous pile of golden brown sticks is topped off with just the right amount of mentaiko mayo that complements the natural tinge of sweetness from the sweet potato fries. Equal parts sweet and savoury, this is one dish worth digging your teeth into. 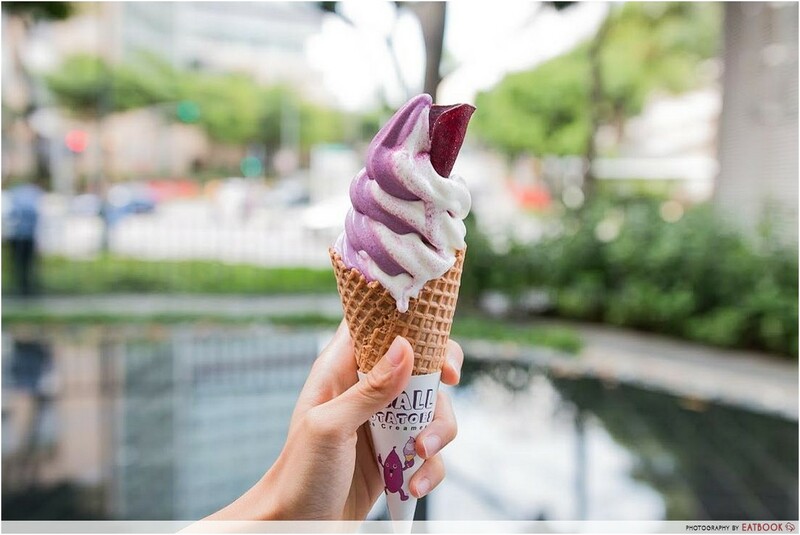 Hong Kong’s Small Potatoes Ice Creamery has set up a kiosk right in the heart of Novena and they serve just 2 flavours of soft-serve: Japanese Purple Kumamoto Yam and Himalayan Sea Salt. There’s nothing quite as shiok like eating an ice-cream cone on a hot day, and a blend of both flavours in Mixed Ice Cream Cone ($5.50) does the trick. As strange as the combination of sea salt and purple yam may sound, these distinct flavours complement each other wonderfully and you’ll find yourself wanting more. I love bread, period. Anyone who knows me or has met me at one point in life knows how much I love that sweet, fluffy carb. And for bread lovers like me, MK Levure Naturelle is a paradise. 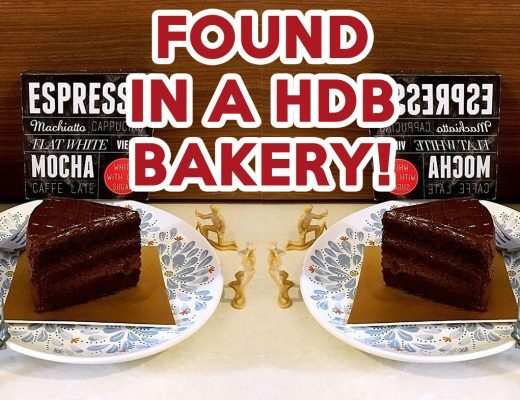 With rich and buttery Sweet Potato Buns ($1.80 each) and decadent Belgian Chocolate Buns ($1.80 each) alongside other unique buns and breads, you can’t help but think to yourself what a wonderful world this basement shop at Holland Village MRT Station is. Deep fried to perfection, the thick-cut Sweet Potato Truffle Fries ($12.90++) at Curious Palette is an elevated version of the beloved truffle fries. Dip it into a pot of truffle mayo that comes with it and you’ll find it hard to stop at 1. Another must-try when visiting this quaint cafe hidden on the outskirts of Prinsep Street is their beautiful Berry Ricotta Hotcake ($14.90++), which has been making its rounds on Instagram. 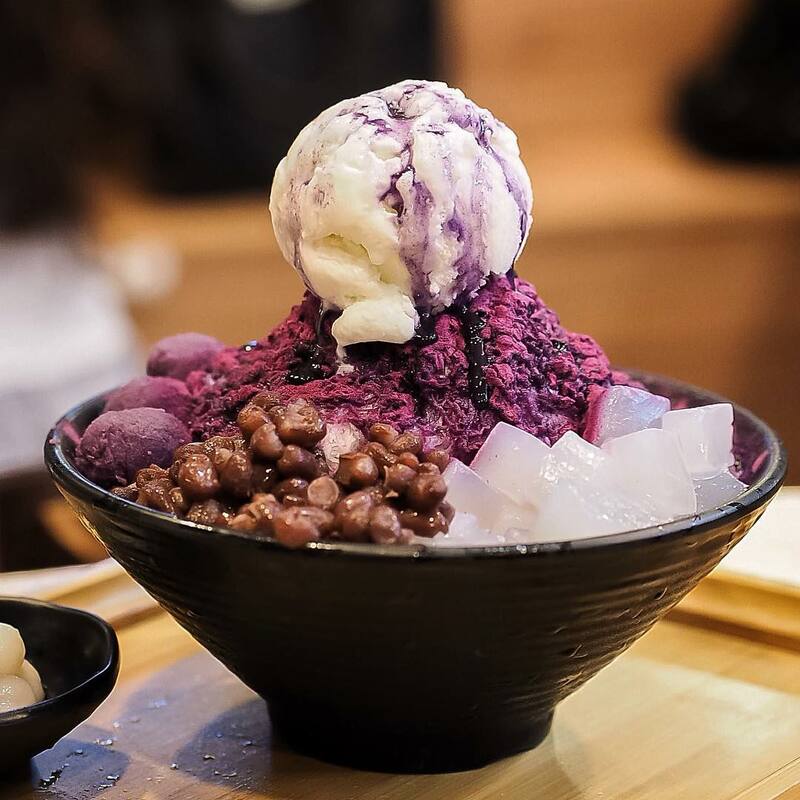 Even though NICEDAY’s Purple Sweet Potato Milky Snow Mountain ($9.90) looks like a typical bowl of Korean bingsu, it tastes distinctively Taiwanese thanks to its base of grass jelly. 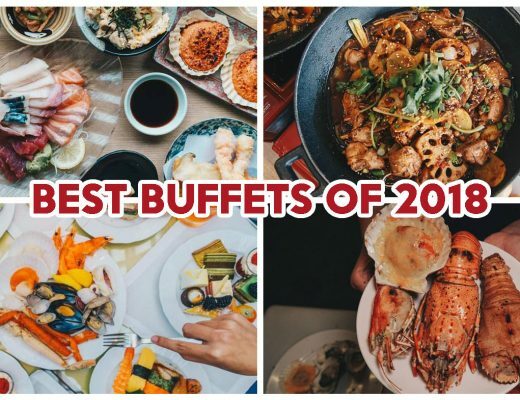 Feast on toppings that include taro balls, nata de coco, red beans, mochi and a scoop of ice-cream. There was a bit of a wait when I was there, but the final product served was well worth it. For those who want a local twist, get Gula Melaka & Soy Bean Curd Polo Ice ($6.80). Think of this as a bowl of tau huay topped with red beans, mochi, nata de coco and covered with a layer of shaved ice drizzled with gula melaka. 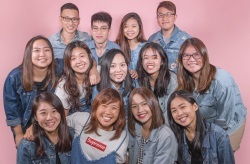 Aside from their Coconut Infused Cold Brew ($9.50++) that has been capturing the hearts of coffee connoisseurs around the island, d’Good Cafe is worth visiting for food too. Grand Marnier Sweet Potato Matcha Pancake ($12++) is a skillet pancake topped with crushed pistachios, adzuki beans, mashed sweet potato and a generous drizzle of Grand Marnier matcha sauce. A scoop of vanilla ice-cream is served on the side as well. 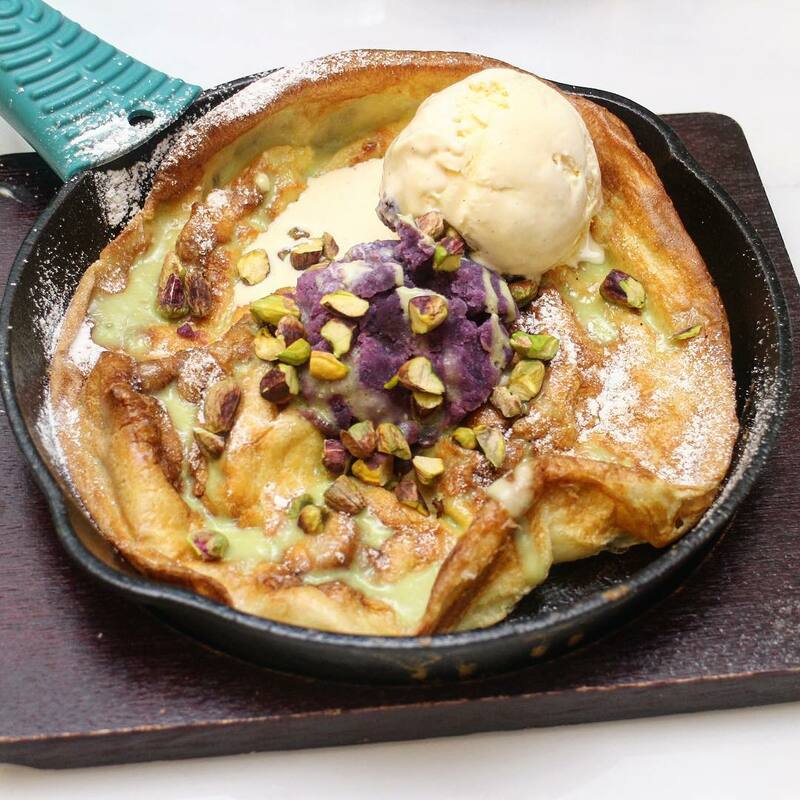 Tuck into this eggy and dense Dutch pancake while taking in the clean London-themed interior. Find out where else to get unique coffee here. If you can’t get enough of bingsus, Nunsaram has got you covered. Sweet Potato Bingsu ($14.90) with sweet potato cubes, silvers of almonds and ice-cream is one icy dessert I find solace in indulging. 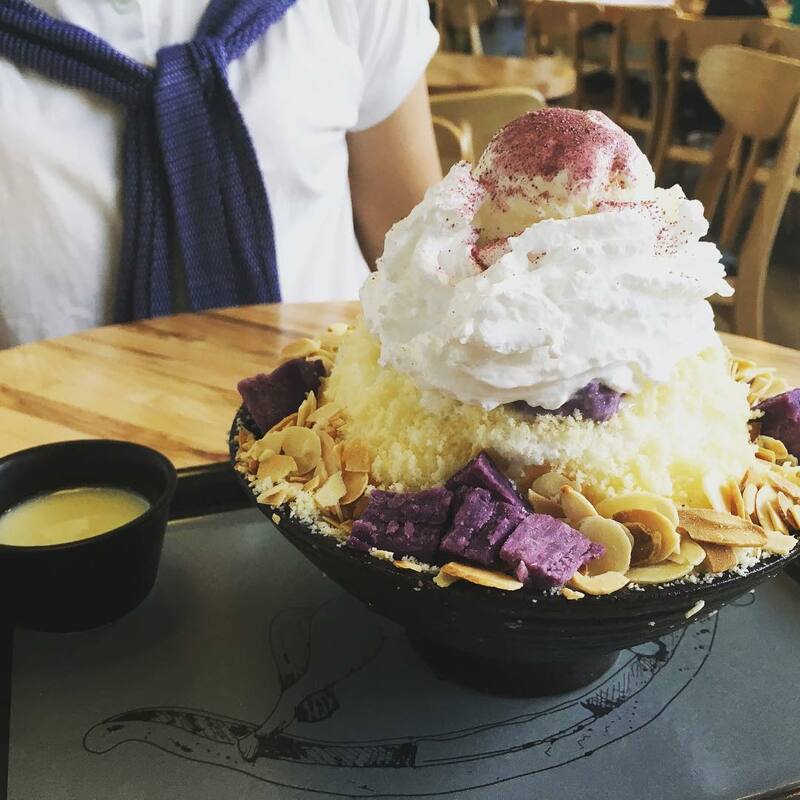 If you prefer something more classic, Choco Banana Bingsu ($14.90) is a safe choice. You can get a refill of condensed milk for free, so those struck with a sweet tooth can get ready to go wild here. Sin Lee Foods is a heaven for all those desiring to make their Instagram feeds #goals. 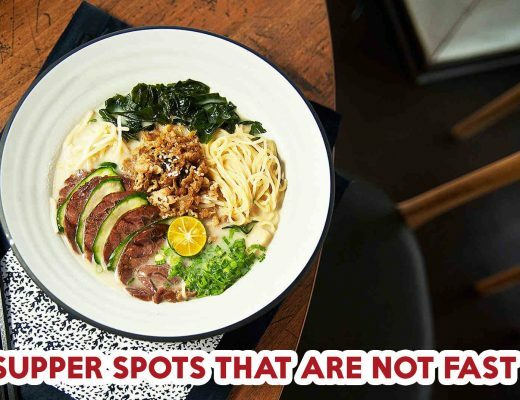 With a menu that boasts a wide array of photogenic dishes such as Lobster & Truffle Cassoulet ($24++) and Salted Egg Yolk Sweet Potato Fries ($12++), it’s no surprise why this corner cafe is so popular with Instagrammers. While it may be on the pricier side, I personally wouldn’t mind paying for twice-fried sweet potatoes drenched in the golden sauce we’ve all come to know and love. With all these choices one could possibly be spoilt with, I’d say your sweet potato journey is gonna be pretty smooth. For those who have time to spare, you can even try making your own coconut sweet potato ice-cream! 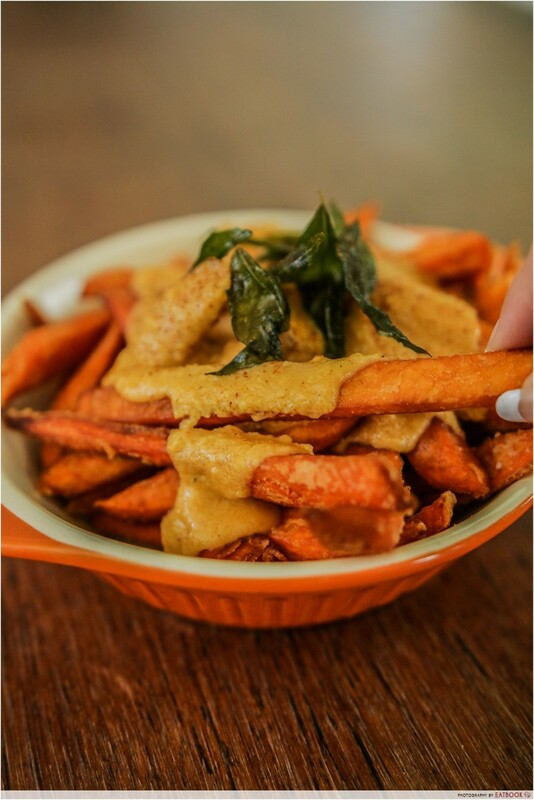 If you know anywhere else with sweet potato dishes worth chowing down on, let us know in the comments! Zoe is an ethereal being of some sort who's unhealthily obsessed with coffee, poetry and puppies. Oh and she also loves bread.